The U.S.-China trade war is having a significant effect on commerce, seeing Chinese imports and exports at a record 28-month low and causing major tech manufacturers like GoPro to pull their factory work from China (“production will continue in China for non-U.S.-bound cameras,” according to NBC News). All this despite the 90-day truce called by President Trump and Chinese President Xi Jinping at the G-20 Summit in Argentina earlier this month. In an exclusive interview on CNBC’s “Squawk Box” Friday, American political advocate Grover Norquist asserted that “Tariffs are taxes. … It's a weapon, tariffs, that raise[s] the costs of goods and services on Americans. Tariffs on Chinese goods are paid by American consumers.” Full disclosure: Mr. Norquist is founder and president of Americans for Tax Reform, a powerful conservative anti-tax organization, so he has an iron or two in this fire. A tax, as we’re all well aware here at the REM Cycle, is any charge imposed by a government upon a taxpayer. Sales tax, use tax, estate tax, property tax, income tax, gift tax, yadda, yadda, yadda. A tariff, however, is a special class of tax imposed only on imported (and, rarely, exported) goods and services between sovereign states. Tariffs are used to restrict trade of these imported goods and services by increasing their price, making them more expensive to consumers and theoretically encouraging domestic trade. Tariffs are therefore useful to governments as a means of shaping trade policy. But there’s a big difference between the U.S. government and the average U.S. consumer. Let’s rephrase the previous paragraph: a tariff is a sales tax on goods and services from a certain foreign country. The tax is imposed at the port of entry and paid by the importer, then presumably passed on to the consumer: for instance, the person buying a GoPro or an iPhone. 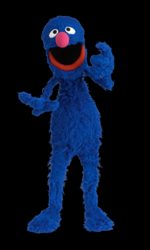 So is our pal Grover right? Will tariffs on Chinese-made products effectively raise taxes on Americans? Probably—at least in the short term. Savvy Chinese manufacturers will do all they can to avoid incurring the tariff. Some are already doing this by finishing assembly in nearby nations or shipping via Vietnam. And there is still the possibility that Mr. Trump and Mr. Jinping will make good on their 90-day deadline to end the trade war. However, all these solutions take time to implement, and the trade war already has been raging for several months. Here’s hoping for a holiday ceasefire. 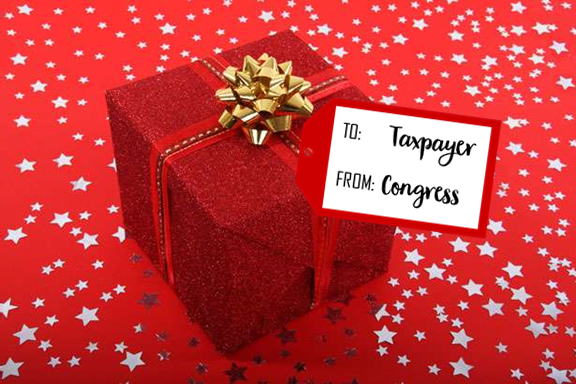 Here is something important to know: the IRS does not send unsolicited emails to taxpayers. Please remember that; it just might save your assets. Due to a spike in reported cases, the IRS has recently warned taxpayers of a scam involving the malware known as “Emotet.” Emotet is a computer virus distributed as a trojan, meaning that it is sent under the guise of something legitimate. In this case, you may receive an email about a tax account transcript from the IRS. If you open an attachment or click on a link, you are at risk of the virus finding its way onto your machine. The malevolent parties will send the fraudulent email to thousands of email addresses, hoping that a few will take the bait. This process is commonly referred to as phishing (no relation to the band Phish). Once the malware has infected a computer or network, information can be stolen and used maliciously by outside parties. The warning from the IRS is primarily directed towards businesses, but it is a good reminder for all taxpayers that the IRS has a very specific methodology when reaching out to taxpayers. In nearly all cases, the IRS will first reach out through the mail in letter form, referred to as a notice. The notice will contain information about why the IRS has attempted to contact you and actions to take, if any. The common reasons to receive a notice are: an adjustment to a tax return, a request for a tax return, a tax bill, or being selected for an audit. Here is something else important: immediately turn that notice over to your tax preparer. A timely response is important when resolving IRS notices. If the IRS has not received a response to an initial notice or several follow-up notices, a representative may indeed show up in person. Here are some red flags that may clue you in on an attempted scam: You are asked for a specific type of payment like a gift card, you are asked to provide credit card numbers over the phone, you are not advised of your rights as a taxpayer. Also, be very suspicious if you are threatened with law enforcement if you don’t pay. I urge you to be cautiously skeptical and always reach out to your tax preparer or advisor before responding. Lucky for us, the IRS has provided useful information, details, and links on their website to help taxpayers identify what is legitimate and what is bogus. I recently received a voicemail from “the IRS” using a computerized voice informing me that an arrest warrant had been issued for me. Oh, dear! And both me and my assets were being monitored—very scary! They demanded immediate payment and left a direct line for me to call them back. I called, but sadly no one answered. Fortunately for me, I am fairly well-informed and realized right away that this is a poor attempt at a scam. Whew! I hope that after reading this, you’ll be well-informed, too. The #MeToo movement and innumerable allegations of unwanted and inappropriate sexual advances in the workplace prompted New York legislators to include several provisions in the newly-passed state budget designed to prevent sexual harassment. While not all provisions take effect immediately, we encourage employers to begin preparing now. This post is a primer on what New York State employers will be expected to do to ensure a safe workplace for all workers. 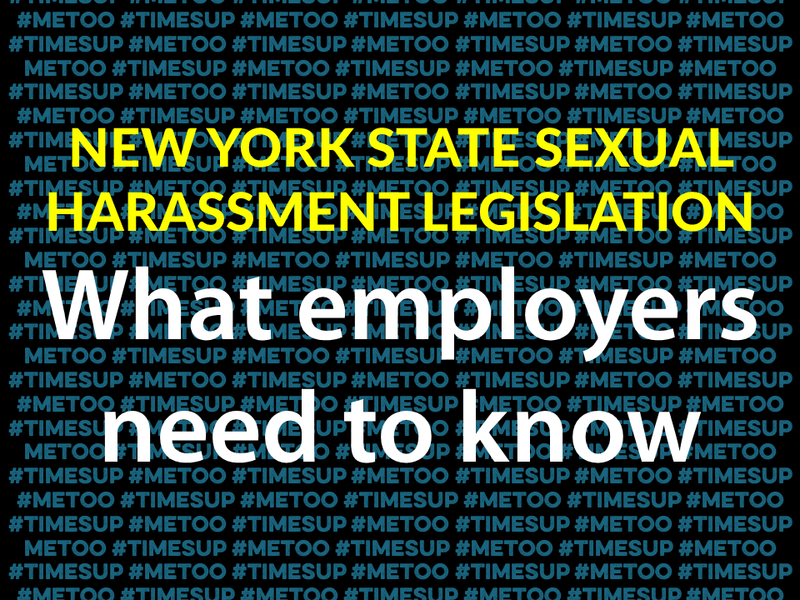 By October 9, all New York employers must implement sexual-harassment training programs. A model program created by state agencies is available if employers are unable to design their own sexual-harassment training programs that meet or exceed New York State standards. Programs must include a definition of sexual harassment and specific examples of what constitutes inappropriate conduct, as well as detailed information on federal and state statutory remedies available to victims of harassment. Employers must also explain employees’ rights of redress and how to bring complaints. As of now, the new laws are unclear about specific guidelines for the number of hours of training will be required and how the training can be administered (e.g., in person, webinar, etc.). Employers must keep records of employee training for a minimum of three years, including signed acknowledgement forms from the employees who attended. Employers may no longer include confidentiality provisions in settlement agreements, except when the complainant requests confidentiality. A related federal provision of the Tax Cuts and Jobs Act (TCJA) eliminates potential deductions for employers’ legal fees and settlement payments incurred by defendants’ sexual harassment cases that are subject to nondisclosure agreements. Until now, contractors, vendors, and consultants have not been covered by New York State sexual harassment laws. As of April 11, 2018, Section 296-d of the New York State Human Rights Law prohibits an employer to permit sexual harassment of non-employees in the employer’s workplace. If harassment takes place and the employer knows or should reasonably know, but fails to take immediate corrective action, the employer can be held liable. Employers should review and adjust existing policies and training to ensure a harassment-free workplace. For practical purposes, compliance will limit employer liability. Of course, the most important purpose of adhering to the new laws is to protect and support all workers with a safe working environment. If you have any questions, please don’t hesitate to contact me directly. 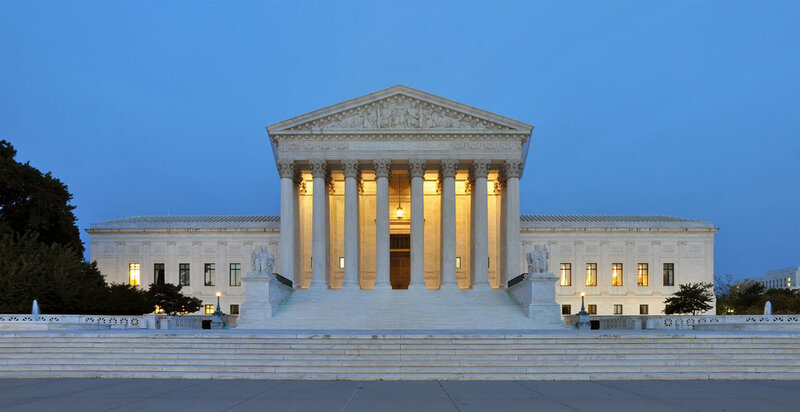 A recent Supreme Court decision upheld a South Dakota sales tax law requiring sales tax to be collected by large internet retailers, such as Wayfair and Overstock, who are not physically present in South Dakota, but “maintain an extensive virtual presence.” The law applied only to out-of-state sellers who deliver more than $100,000 of goods or services into the state or engage in 200 or more separate transactions. For South Dakota, a state with no income tax, the effect of the losses from online sales tax revenue to state and local services was critical. While the Supreme Court decision seems reasonable, it effectively gutted the bright-line physical presence standard established by the Quill decision. Prior to the Supreme Court decision, businesses relied on the Quill decision to avoid nexus (a connection to a state upon which the obligation to pay or collect sales tax is based). Other states, including New York, that passed similar sales tax legislation based on “click-through nexus” as far back as 2008 may now rely on the South Dakota law as a constitutionally upheld example. The Supreme Court noted the effects of the South Dakota law as minimizing the burden on interstate commerce by including a safe harbor provision on certain transactions “so small and scattered that no taxes should be collected,” forgoing retroactive application, and through the Streamlined Sales and Use Tax Agreement providing state-funded sales tax administration software intended to reduce compliance costs. While the South Dakota law has been constitutionally upheld, the Court did not address economic nexus laws in other states, nor the possibility of imposing sales tax retroactively. Because no international treaty provisions apply to sales tax, foreign sellers are subject to the same rules as domestic sellers. Will states seek back taxes? In its case, South Dakota noted that advances in computer technology have made it easier to determine appropriate sales tax based on the purchaser's location and that requiring such "poses a minimal obstacle." In the summer of 2017, the Multi-State Tax Commission Online Marketplace Seller Voluntary Disclosure Initiative offered sales tax amnesty. Twenty-five states offered to waive all past tax, interest, and penalties for companies that agree to register for and collect sales tax for online sales going forward. Federal legislation from Congress has proposed a destination-based collection system based on the location of the buyer and the local sales tax rate where the buyer receives the product. What about my company’s exposure? The evolving concept of nexus also applies to income and franchise tax, so a good understanding of the regulations is critical. The analysis and interpretation of these laws is challenging, in part because the Court’s most recent decision upended prevailing state statutes. Now, a modern “economic nexus” standard is required, but not yet written nor agreed upon by the fifty United States. We can expect revised statutes based on a new form of nexus to potentially broaden the states’ claim on income and franchise tax. While the Court favors prospective legislation, companies that have received notice from state taxing authorities regarding past sales transactions should not consider the Court’s recent decision as constitutional protection. When a sales transaction is complete, it is difficult to impossible to retroactively collect sales tax for which the taxpayer may be responsible upon audit. What should have been a tax collection process becomes an expense to the seller. In states that already have sales tax requirements for online sales and have enacted legislation similar to South Dakota, such as Georgia, we recommend registering to do business in that state and complying with sales tax collection. The odds are they will offer some type of amnesty. If a state has not yet enacted legislation, we recommend a “wait-and-see” approach that may offer prospective amnesty. This decision gives some certainty that companies with sales in other states will have to register and collect sales taxes according to each state’s laws. If your business has transactions out-of-state and you would like to review whether your business has nexus in another state, contact your CPA to review the latest guidelines. Is the IRS really emailing me? Tax-filing season has started, which unfortunately means tax-scam season has started, as well. The IRS is already warning taxpayers to be on guard about a new refund scam, and just two days ago, a Manhattan grandma made the news by foiling an IRS phone scammer. All of which raises the question of how to identify an IRS scam in the first place. We've put together this infographic to help you separate tax fact from fiction. Copyright 2018 Raich Ende Malter & Co. LLP. What's your experience with tax scammers? Drop us an email to let us know. 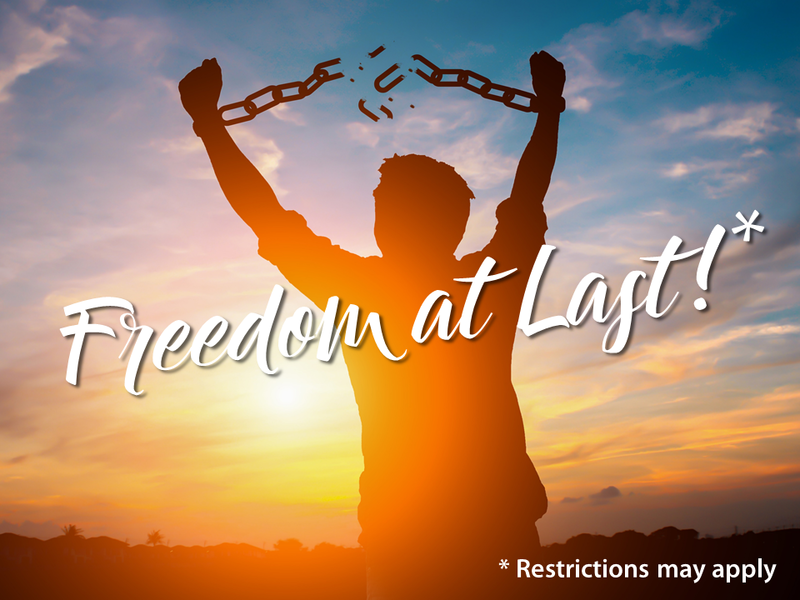 How will the new withholding amounts be calculated if there are no longer exemptions? When do these new withholding rates need to be put into effect? Will new W-4s need to be filed for employees? Where can I get additional information on the new tables? Is it time for me to change professions? Luckily for you, The REM Cycle is on top of it and here to help. Let’s take these issues one by one. The new withholding tables are designed to incorporate all of the changes to the new tax law, not just the suspended exemptions. There are also reduced tax rates, adjusted tax brackets, and an increased standard deduction to account for. To summarize how it works, the new tables use a percentage method based off of your net wages. Your net wages are reduced by your total withholding allowances and then a percentage is withheld accordingly. This answer depends on when your employer puts these changes into effect. However, the IRS stated that the new rates need to be put into use no later than February 15, 2018. In the past, as a best practice, new W-4 forms should have been filed on a yearly basis for employees. At the very least, employees should have been reviewing their withholding on a yearly basis to make sure no changes were needed. In that regard, not much has changed. The new withholding tables are supposed to incorporate the W-4s that the employees already have on file. As a helpful tool, the IRS will be releasing an improved withholding calculator that can be used to verify any withholding is accurate. Also, the IRS will be revising the W-4 form to fully reflect the new laws and rates. Having your clients check their withholding after these new tools and forms come out is strongly suggested. Where can I get more information on the new tables? 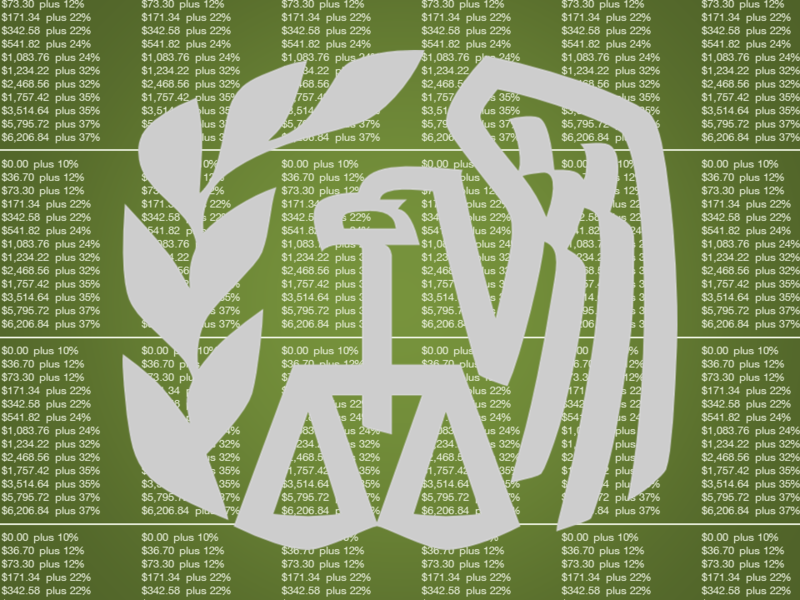 The IRS released Notice 1036: Early Release Copies of the 2018 Percentage Method Tables for Income Tax Withholding, which details how the new withholding tables work. The Service also provided an FAQ page on irs.gov to help answer commonly asked questions. I can’t answer that one for you but can tell you this: as long as the tax laws are written and controlled by politicians, we’ll all have jobs. No “postcard” filings – it’s called job security, people! At the end of the day, the Tax Cuts and Jobs Act created a slew of new tax planning hurdles and opportunities. If you haven’t already, reach out to your trusted advisor to see how the new laws affect you. Paid family leave is important. Unfortunately, many New Yorkers experience little or no paid maternity/paternity leave and forgo a paycheck when it’s necessary to care for a loved one with a serious health condition. The Family and Medical Leave Act (FMLA) -- which is unpaid leave -- is helpful, but only goes so far toward mitigating the situation. Only an estimated 12% of private-sector workers have access to paid family leave through their employer. This will change, beginning January 1, 2018, as all private employers will be required to participate in the New York State Paid Family Leave (NYS PFL) benefit law, which is meant to provide paid leave for employees in certain situations. NYS PFL exceeds what is required under FMLA with regard to protections and payments, and thereby imposes new family leave obligations on New York employers. 1. What is the NYS PFL law? NYS PFL will provide eligible employees (both full- and part-time) with up to eight weeks (accreting to 12 weeks when fully implemented by 2021) of paid family leave annually to care for an infant (or newly-adopted or fostered child – including those born or placed for adoption prior to January 1, 2018), a family member with a serious health condition (including a spouse, domestic partner, child, parent, parent-in-law, grandparent, or grandchild), or to assist with family obligations when a family member is called to active duty. Note: NYS PFL is not available for prenatal conditions or an employee with serious health conditions. By 2021, New York State will have the longest, most comprehensive paid family leave program in the U.S.
2. Who is subject to it? NYS PFL applies to all private employers with at least one employee in New York State. This includes out-of-state employers that have one or more employees working in New York (e.g., those working remotely). Public employers are generally exempt from NYS PFL. 3. Who is entitled to NYS PFL benefits? Virtually every full-time or part-time private employee in New York State will be eligible for paid family leave. Full-time employees who have been employed for at least 26 weeks are eligible, while part-time employees (defined as those scheduled to work fewer than 20 hours per week) must work at least 175 days to be eligible. Those requirements apply regardless of the number of hours per week actually worked and regardless of the employer’s size. Note: Both non-U.S. citizens and undocumented employees who otherwise meet eligibility requirements are eligible for NYS PFL. Employees working fewer than 26 weeks or 175 days in a consecutive 52-week period (e.g., short-term or seasonal employees) may file an NYS PFL waiver, in which case the NYS PFL payroll contribution deductions will be waived (as would the employer’s responsibility to provide benefits to that employee). 4. Who will pay for it? NYS PFL will be completely funded through nominal employee payroll deductions. Participation is not optional. In fact, you may already be paying for it: employers were able to begin payroll deductions as of July 1, 2017. Covered employers are required to carry NYS PFL insurance or comply with the requirements to self-insure by January 1, 2018. We strongly recommend that you contact your NYS Disability Insurance carrier regarding adding an NYS FPL rider to your current disability policy as soon as possible. This policy should be effective by January 1, 2018. The maximum employee contribution for coverage beginning January 1, 2018 will be 0.126% of an employee’s weekly wage up to and not to exceed the statewide average weekly rate, which is currently set at $1,305.92. For employees who earn more than $1,305.92 per week, the NYS PFL deduction will be capped at $1.65 per week ($1,305.92 x 0.126%). The deduction percentages and caps may change annually – the deduction percentage may change on January 1; the cap may change on July 1. If you have any questions regarding NYS PFL, please contact your disability insurance company or the New York State website: https://www.ny.gov/programs/new-york-state-paid-family-leave.